Loft inspired living in the heart of Melbourne. 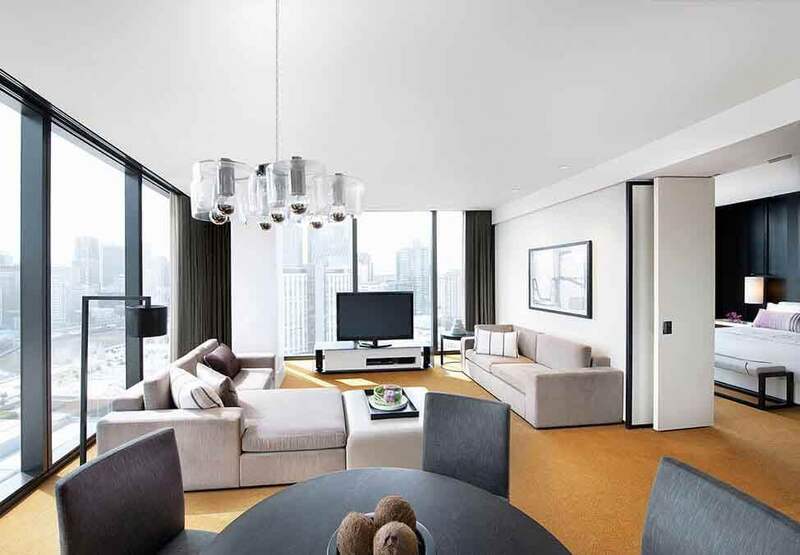 Located on levels 8-24, showcasing 80 square metres of wide open spaces and breathtaking views of the bustling city below, you’ll enjoy welcoming guests to the stunning interiors and amenities of your loft style suite. A modular lounge and dining table for up to four people, plus three LCD TVs, allow you to entertain without compromising your sense of personal space. 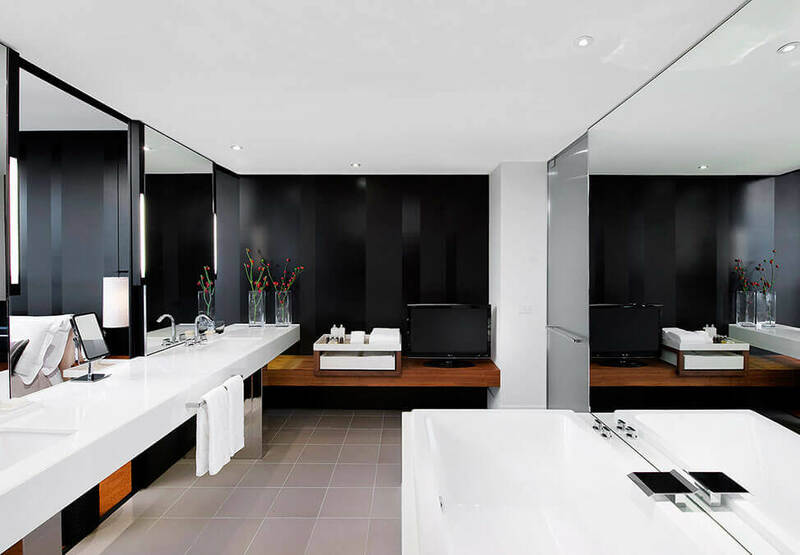 Your bedroom features its own ensuite with deep soaking bath, double vanity and oversized shower.